Moscow zoo is the first zoo in Russia, it opened in 1864 and was created at the initiative of the Imperial Russian society of acclimatization of plants and animals, and its main "sponsor" in those days were members of the Imperial family. As today, the Moscow zoo and what it represents? Today in the Moscow zoo, whose main purpose is conservation and research and outreach activities, contains about eight thousand individuals. Animals of the zoo are represented in dozens of certain exhibits, which belong to a particular region, family, appearance and so on. For example, in the Australian section, you can see black swans and ostriches EMUs, and visit the Giraffe House. Moscow zoo has membership to the world and the European Association of zoos and aquariums, as well as in the Eurasian regional Association of zoos and aquariums. In addition, he actively participates in numerous international programs for the conservation of endangered animal species and works closely with global environmental organisations. Also the zoo hosts professional seminars, lectures and special tours for children. Moscow zoo is open from 10:00 to 20:00 in normal mode, while winter operation of the zoo from 10:00 to 17:00. Box office opening hours – from 11:00 to 16:30. The only day off is Monday. Ticket office closes one hour before zoo closes. The cost of tickets to the Moscow zoo for adults and children under seventeen years of age is three hundred roubles, and pensioners can visit free of charge, upon presenting a pension certificate. To get to the Dolphinarium of the Moscow zoo, the adults have to pay a hundred and fifty rubles, and students – and twenty rubles. To enroll in group conversations and tours that introduce visitors to zoo biology and animal diversity of fauna, you need at least a month. The simplest way of entering the territory of the Moscow zoo for tourists and guests of the capital is the metro. The most suitable for this station - Krasnopresnenskaya (circle line) and barricade (Tagansko-Krasnopresnenskaya line). 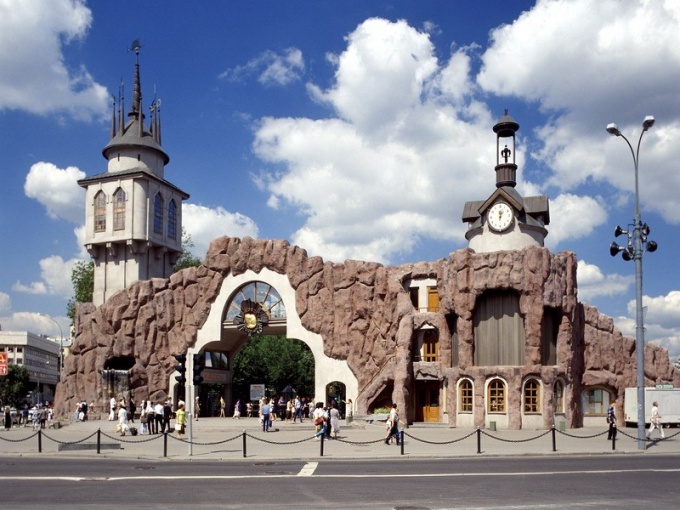 Moscow zoo is located at ul B. Gruzinskaya, 1. IPhone owners, communicators or smartphones operating on the Android platform can manually create a route by organising for themselves an educational visit to the Moscow zoo with GPS guide and the mobile app "Around the world".